Overall, I wont say that one of the best college, but if you are a bright student then you will find your way. Your own hard work is the key here. Faculty would just come and go but its the student who has to care about everything. College placements are good but its neighbourhood isn't. Situated in the middle of Palwal and Sohna there is nothing nearby. Also the type of students who come here are a majority from nearby towns of Palwal and Sohna. Bad management and after 2008 it got changed. Everything was good although it was unmanaged but still it was good. 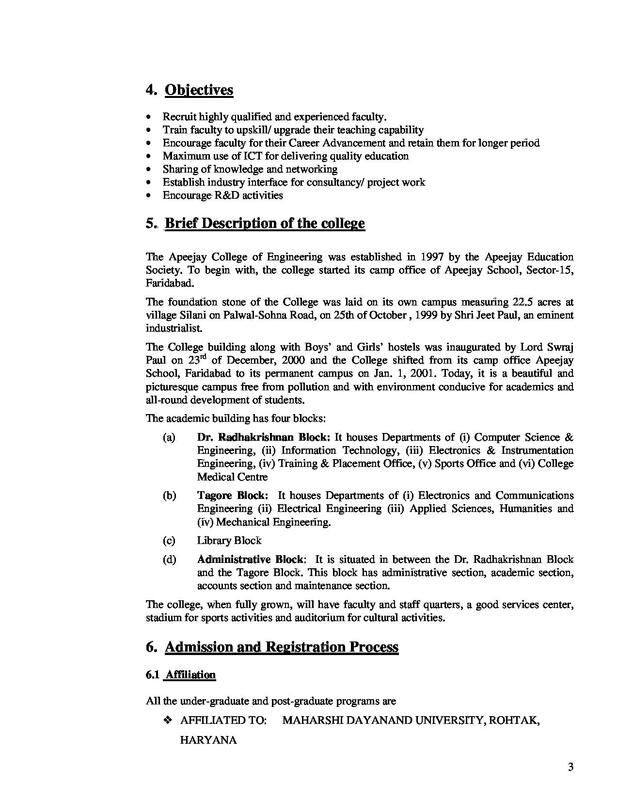 Placements & Ambiance of college needs to be strongly improved. 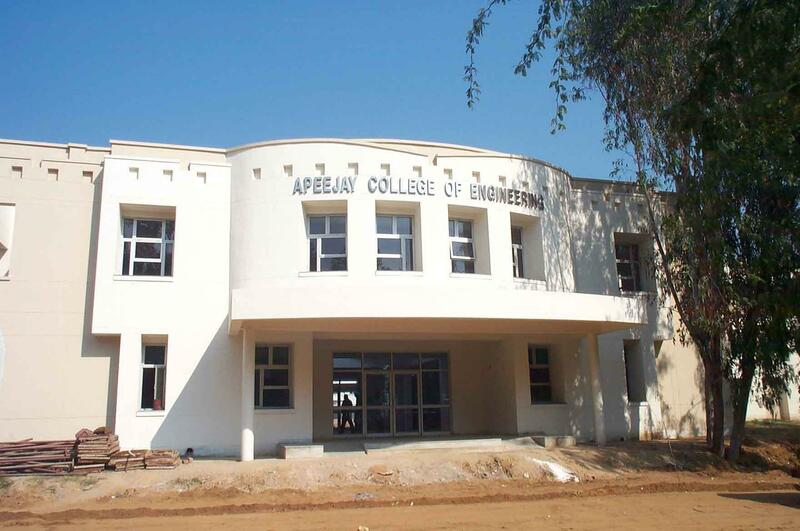 Apeejay College of Engineering, Gurgaon was established to impart quality education in Engineering and to produce highly competent Engineers who can make contribution to the task of nation building. 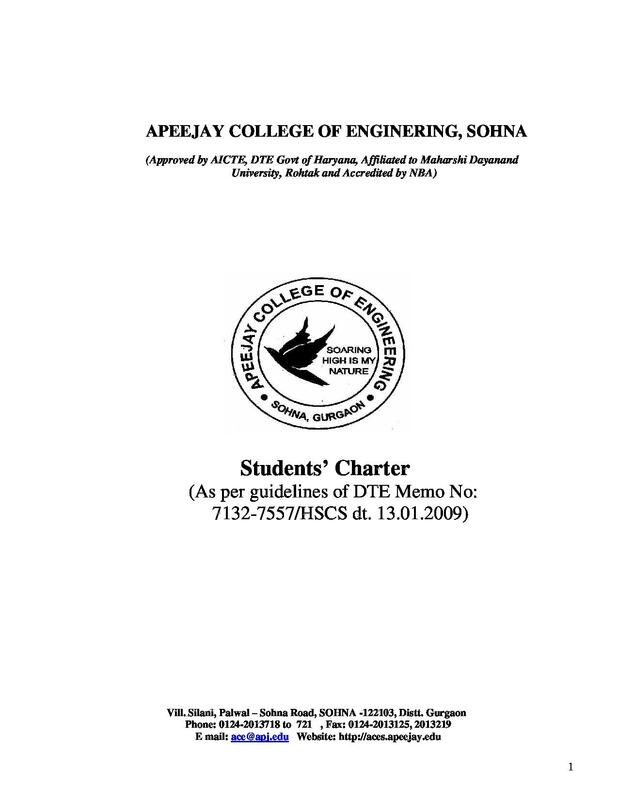 Apeejay College of Engineering has been designed to make it a university of technology. Contrivance 2011- Events that were held are Technical Events, Cultural Events, and Literary Events. 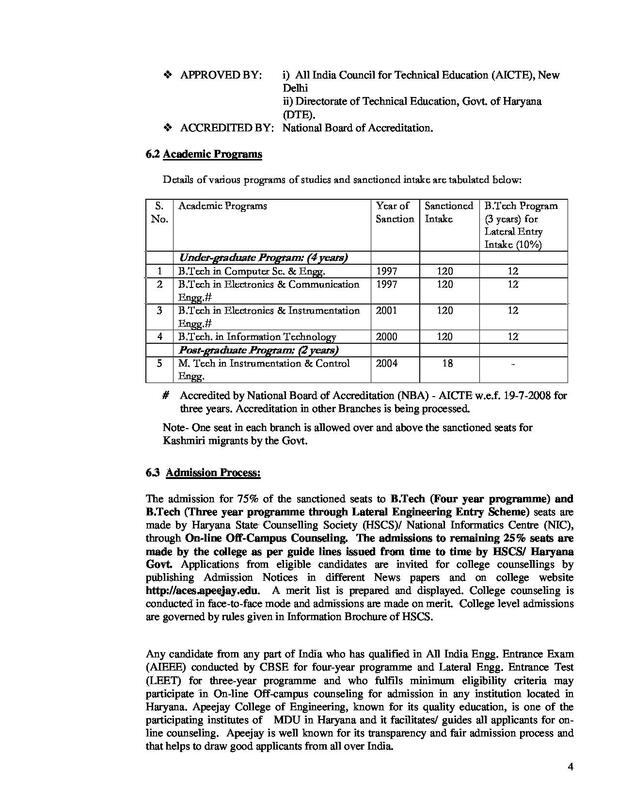 I took AIEEE and got 50k rank and through Haryana State Counselling, I got this college. I selected this college as one of my acquaintance was in the same college and he referred me there according to my rank. 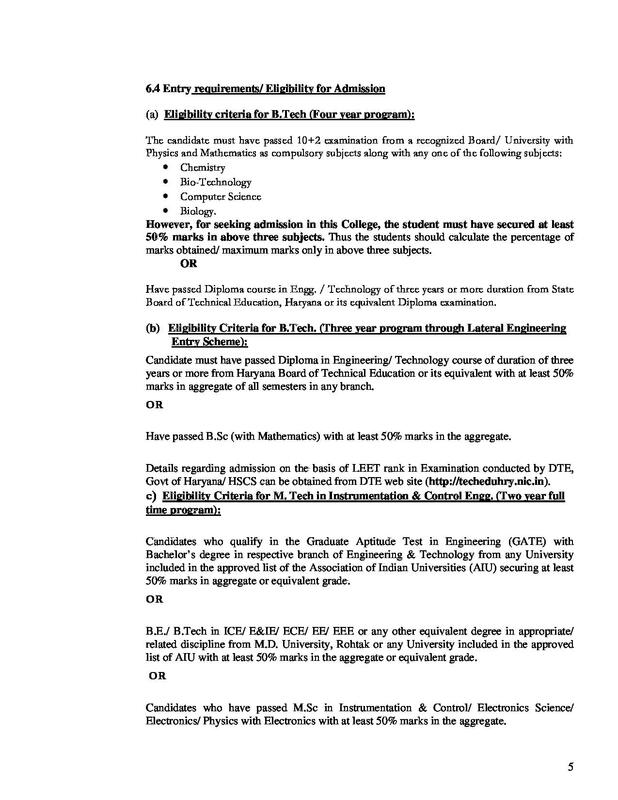 I took AIEEE exam and got a rank where I was lacking from more than 200k aspirants.Got an admission in a college in Punjab & I joined.That was a pathetic experience.Applied in Apeejay College of Engineering & got the stream EIE, which was not a good stream but still I joined because the college is in NCR.Thank God there was no counselling session but yes the registrar was an old guy and he almost torchered me n my father for 45 mins repeating the same lines.